iOS 10.2 public beta 2 is now available to download, featuring new TV app among other changes, on compatible iPhone, iPad and iPod touch devices for testers registered on the Apple Beta Software Program. 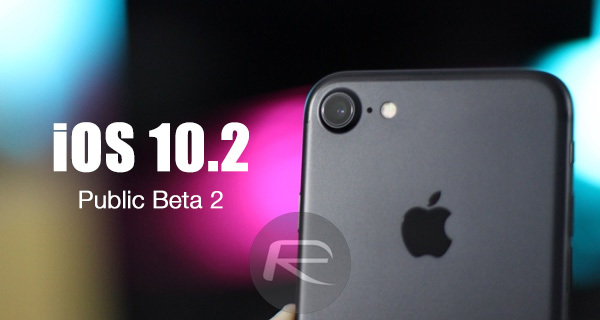 The availability of iOS 10.2 beta 2 for public testers follows hot on the heels of yesterday’s beta 2 release to registered developers, and once again opens up the testing arena to more individuals that can assist Apple in ensuring that iOS 10.2 is ready for public release later in the year. What’s particularly interesting about this iOS 10.2 pre-release seed is that not only does it contain a number of important bug fixes and usability improvements, but it actually contains some interesting tidbits that testers, and eventually the global public, can sink their teeth into. The most notable addition within iOS 10.2 is by far the inclusion of the new “TV” app that Apple covered in-depth as part of its recent “hello again” event recently. The support for the new TV app in iOS 10.2 extends to both iPhone and iPad (as well as Apple TV running tvOS 10.1), and gives users a way of discovering new TV content in a manner that wasn’t previously possible. This includes recommendations based on what has previously been watched, but unfortunately doesn’t include any buy-in at the moment from services like Netflix or Amazon Prime Video. The lack of support for those providers may cheapen the TV experience for many, but the majority will definitely feel that it’s a step in the right direction. The development phase of iOS 10.2 also includes a dedicate device widget for the aforementioned TV app, giving users a quick way of viewing and accessing content without necessarily having to invoke the full TV app. Additionally, Apple has also bundled in a number of tweaks to the stock Music app, namely new Shuffle and Repeat buttons, as well as offering support for Emergency SOS calls directly via the Power button on the device. This beta has only been out in the hands of testers for a very short time, but now that the testing pool has been opened up to include public testers, it’s likely that things will progress a lot quicker. As mentioned earlier, any individual enrolled in the company’s public beta program at beta.apple.com with a compatible iPhone, iPad or iPod touch can grab the latest publicly available beta right away, without delay. For those who already have previous beta installed, they can simply head to Settings > General > Software Update on the device right now to download beta 2 OTA update. UPDATE x1: Alongside iOS 10.2 public beta 2, Apple has now also released macOS Sierra 10.12.2 beta 2. You can find more details on macOS Sierra 10.12.2 here. Apple has recently released the first iOS 10.2 beta, and in addition to new emoticons, it appears that the company has a made an under-the-hood change that’s critical for the security of data included in backups. Security experts at iMazing explain that iOS 10.2 beta makes encrypted backups no less than “1,000 times safer,” as the OS update also increases the required processing power to crack the password. Apple attempted to bolster the security of encrypted backups with iOS 10 in the very first version, but due to a security flaw, the company offered exactly the opposite, and made backups actually easier to hack. Cupertino fixed the problem quite fast, and 10.1 introduced a fix in this regard, blocking brute force attacks and making passwords almost impossible to hack…. Just Updated Dev beta 10.2. I can see the Emergency power button option, but the TV App icon is missing for some reason. I don’t see it either, even in the US.